Kwant.ai is inspired by our team's personal experience. 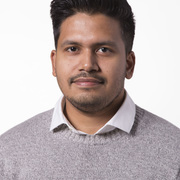 Niran's 10+ experience as project manager and data analyst in large-scale construction projects in 3 continents and 6 countries including 2nd Avenue Subway and East Side Access combined with Sagar's experience building data analytics software using time scale data. I worked as a lead developer in end to end development of Kwant.ai.